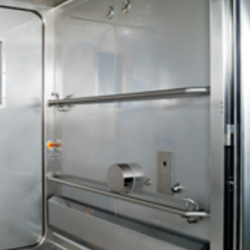 Decon Lock Pharma is a pharmaceutical solution decontamination chamber by IWT. It is the ideal solution for Vaporized H2O2 and Gaseous ClO2 decontamination, and is even suitable for high containment facilities (BSL3). 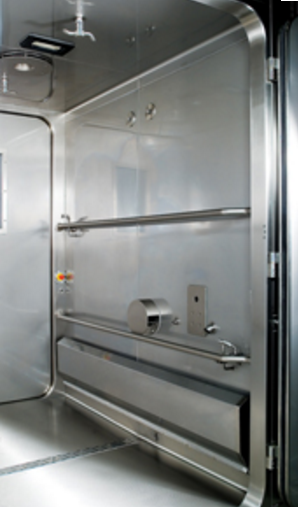 Decon Lock Pharma features a one-hour cycle time with an integrated, modular H202 generator. 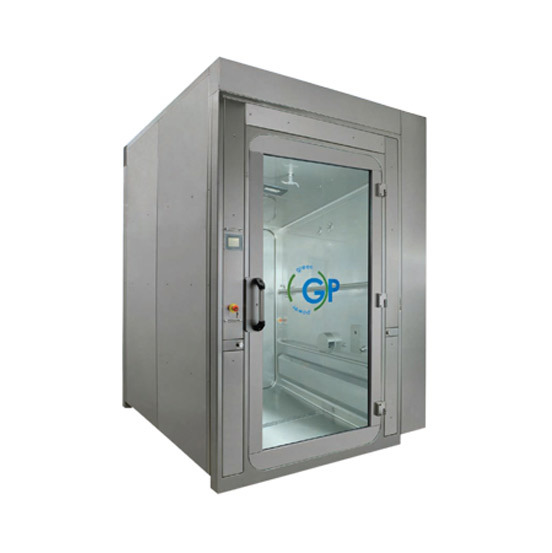 Its interlocking doors are made entirely of glass, and the unit itself is cGMP compliant with full validation protocols. This unit also features a double touchscreen interface. 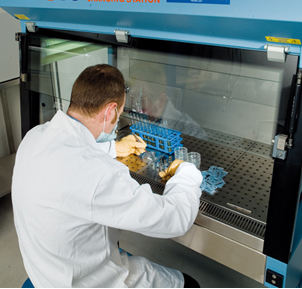 Multiple accessories are available for a wide range of part and consumables decontamination process.